The Jewish Association of Arts and Sciences (J.A.A.S.) had its roots in an earlier informal salon called the “Shletneils Club”, which met at the home of Mrs. Moses Zangwill (mother to the famous writer Israel), who welcomed young Jewish authors, musicians, painters, dramatists and poets. 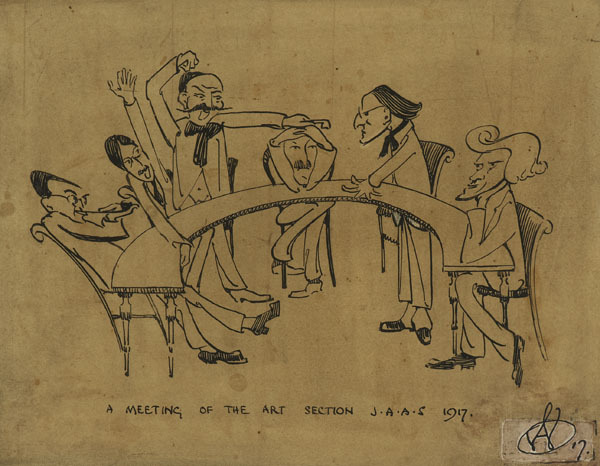 Like the earlier club, the JAAS also comprised various sections on literature, art, music, drama and science, but perhaps Alfred Wolmark, who was in charge of the arts section, had the largest presence. 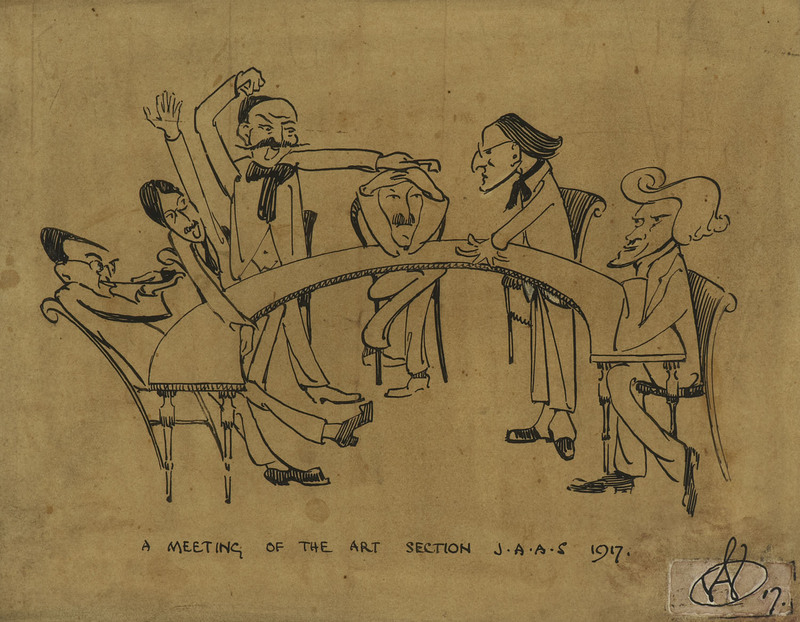 Wolfe’s cartoon shows a meeting of the Art Section in 1917 with Wolmark recognisable by his dark, flowing mane of hair and glasses) on the right, as he thumps the table to make his point, while the others (left to right) are: a Mr. Rebekoff, Adrian Wolfe, Meyer Klang, Isaac Snowman and (far right), with an even greater mane of hair than Wolmark: Morris Goldstein.